This site is provided as a public service by The Borough of Alburtis. This site is intended to be used by the public for viewing and retrieving information only. Unauthorized attempts to upload or change information on this service is strictly prohibited and may be punishable under the Computer and Fraud Abuse Act of 1986. All information on this site is considered public information and may be distributed or copied. With respect to documents and information available from this site, The Borough of Alburtis makes no warranty, expressed or implied, including the warranties of merchantability and fitness for a particular purpose arising out of the use or inability to use the data, nor assumes any legal liability or responsibility for the accuracy, completeness, or usefulness of any information, apparatus, product, or process disclosed, nor do they represent that such use would not infringe upon privately owned rights. Reference herein to any specific commercial products, process, or service by trade name, trademark, manufacturer, or otherwise, does not necessarily constitute or imply its endorsement, recommendation, or favoring by The Borough of Alburtis. The Borough of Alburtis makes no guarantee either expressed or implied, as to the timeliness of response to electronic mail, or assumes any legal liability or responsibility for the consequences resulting from actions taken by recipients of Departmental replies. 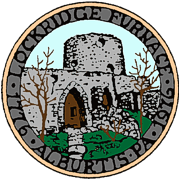 The Borough of Alburtis neither endorses links nor approves of links. All links are made available to assist the Internet user in his or her search. The Borough takes no responsibility in the link's operation or content. The links that are shown are not an exclusive listing of organizations available within the Borough. If organizations wish to be added to any listings, or for any information regarding this disclaimer please contact us.